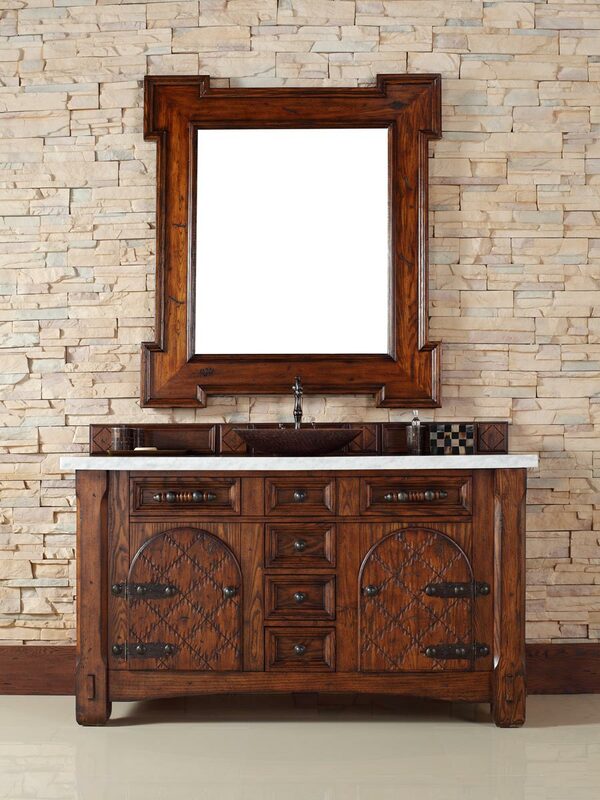 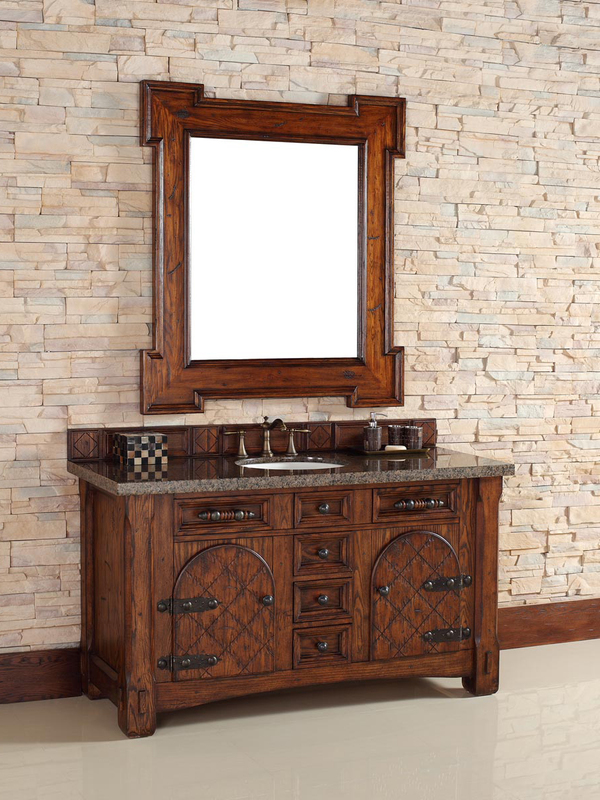 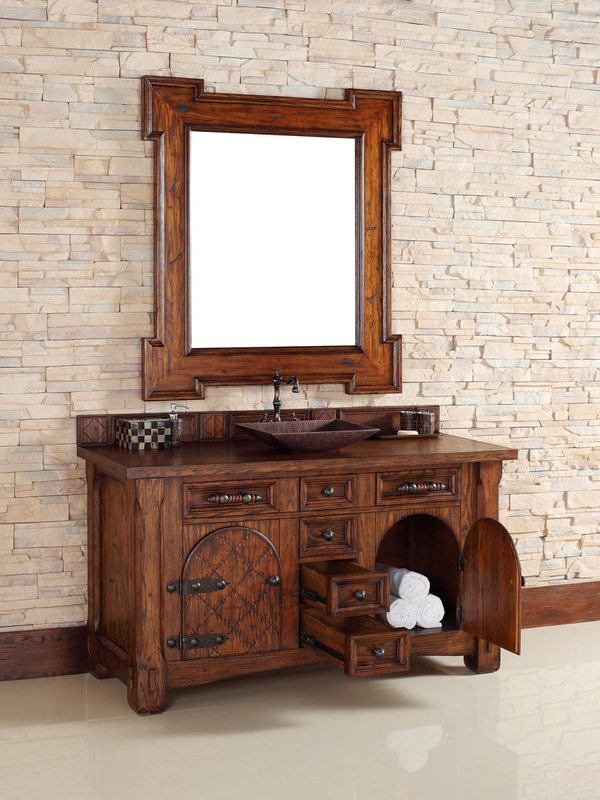 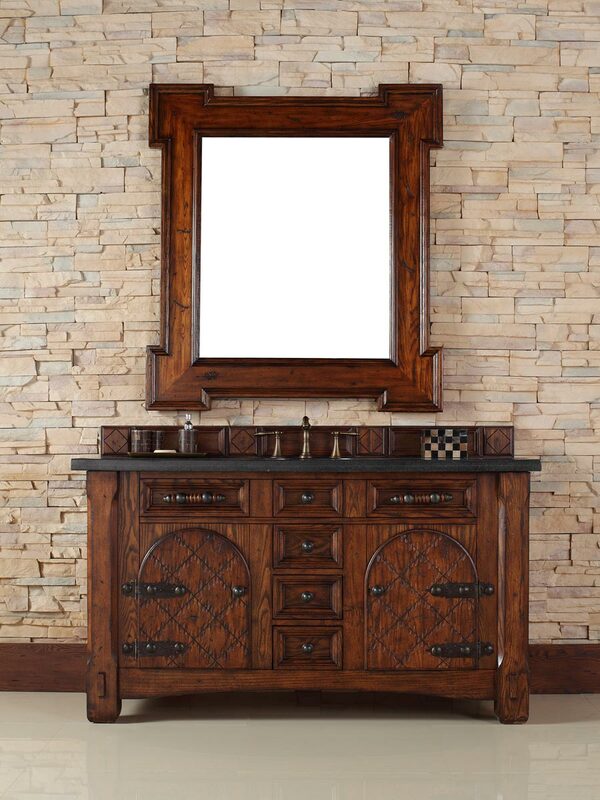 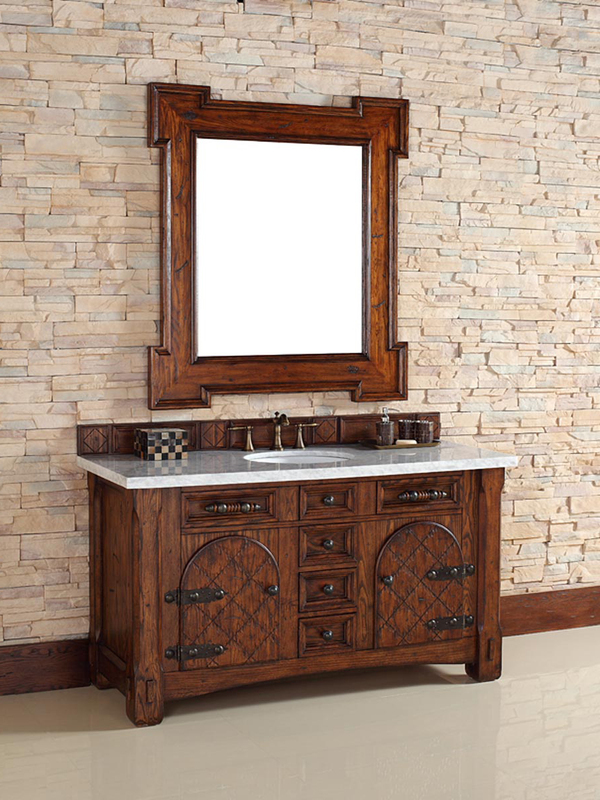 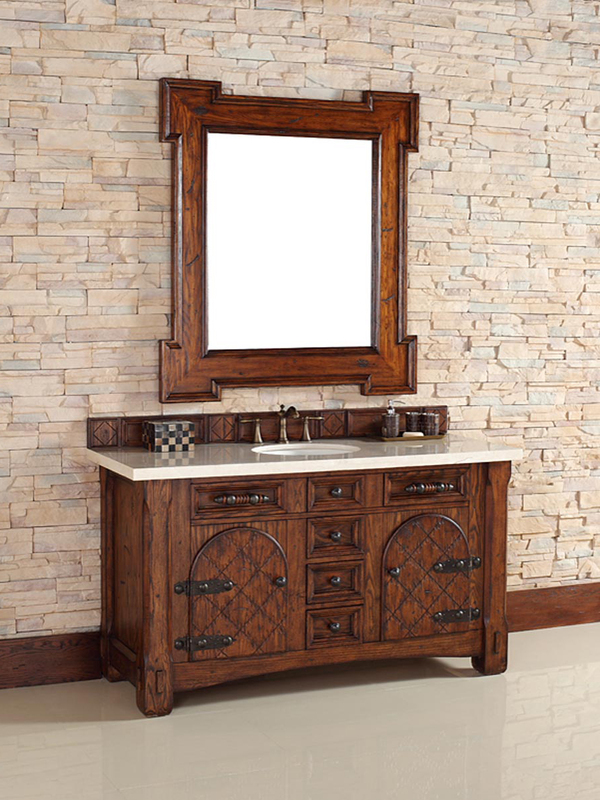 The 60" Marrakesh Single Bath Vanity exudes Old World charm to every corner of your bathroom. 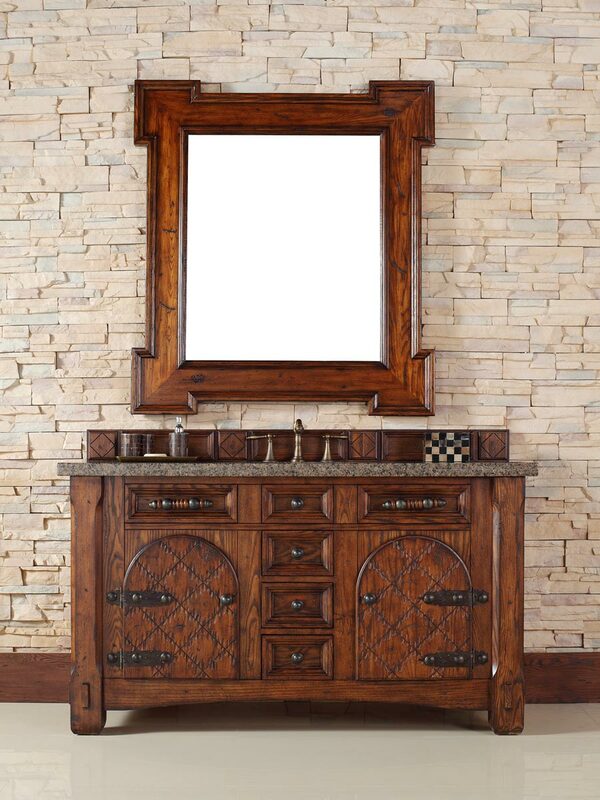 This beautiful cabinet was constructed from solid oak and has been finished with a beautiful Cherry finish. 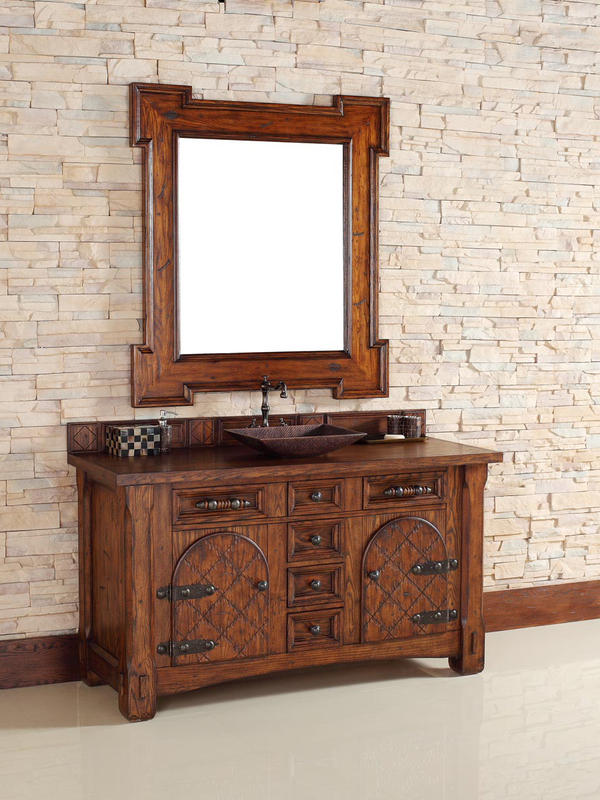 Its hand-carved details give it a rustic appeal, that's mirrored by the rounded cabinet doors, giving it a rustic feel. 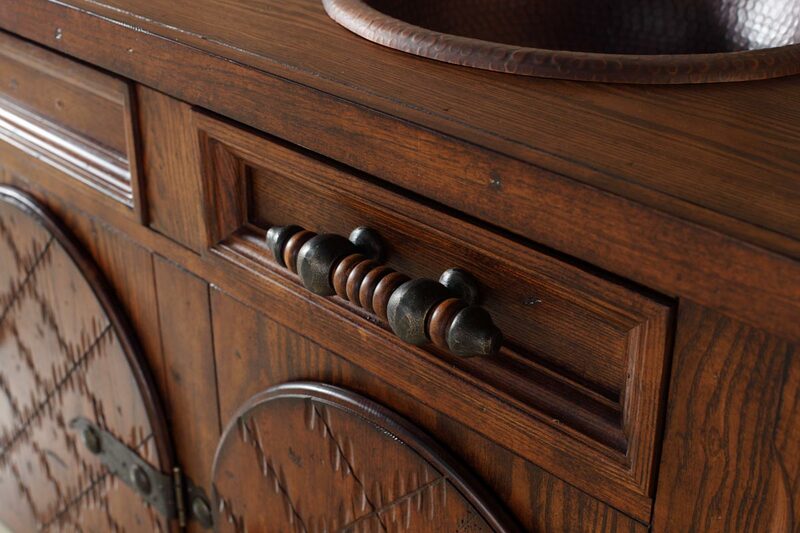 Antique Pewter finished hardware adorn each of the doors and the two faux drawers. 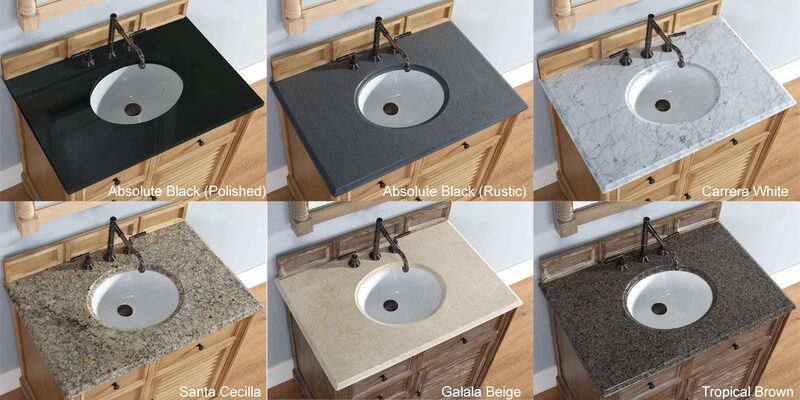 The top is available in a matching wood or 6 beautiful stone top options. 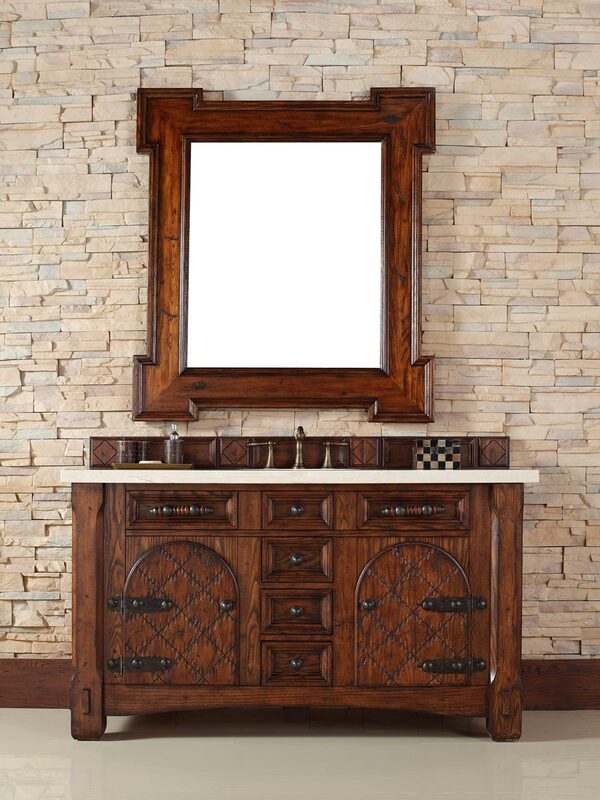 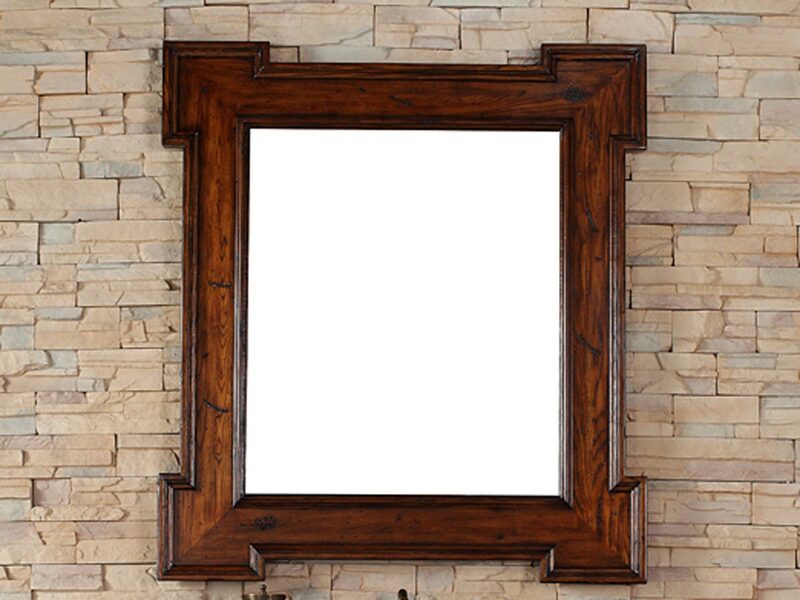 Add the matching mirror for a beautiful effect that also serves a function.